Moist to dry open ground, usually on bare soil; sandy clearings. 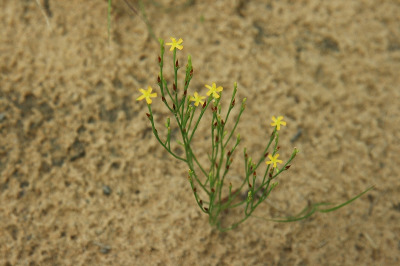 A bushy little plant with wiry, strongly ascending branches, appearing leafless. The common name Orange-grass derives from the striking citrus smell the plant has when crushed. MICHIGAN FLORA ONLINE. A. A. Reznicek, E. G. Voss, & B. S. Walters. February 2011. University of Michigan. Web. 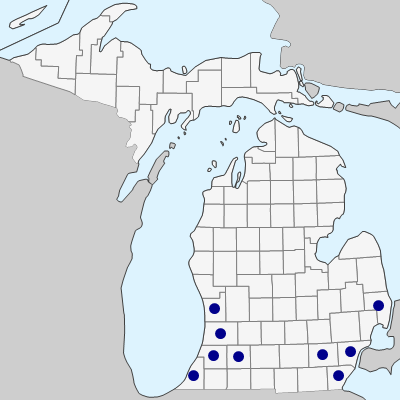 April 21, 2019. https://michiganflora.net/species.aspx?id=1461.